Certain types of men really are.... pigs. They ruin delectable things by naming their objects of lust after them. We have heard Joey's "Grandma's chicken salad" & Ross's "Sweet Potato Pie" in FRIENDS, haven't we? Let's not even talk about hip hop songs. Tart, for instance, is a cute little word for a small pie, but they had to go and call easy women (or, knockouts they can't have) that. Now I can't name a puppy 'Tart' anymore, can I? (Come here, Tart....Fetch, Tart...Have you been bad, Tart?) See? Ruined. 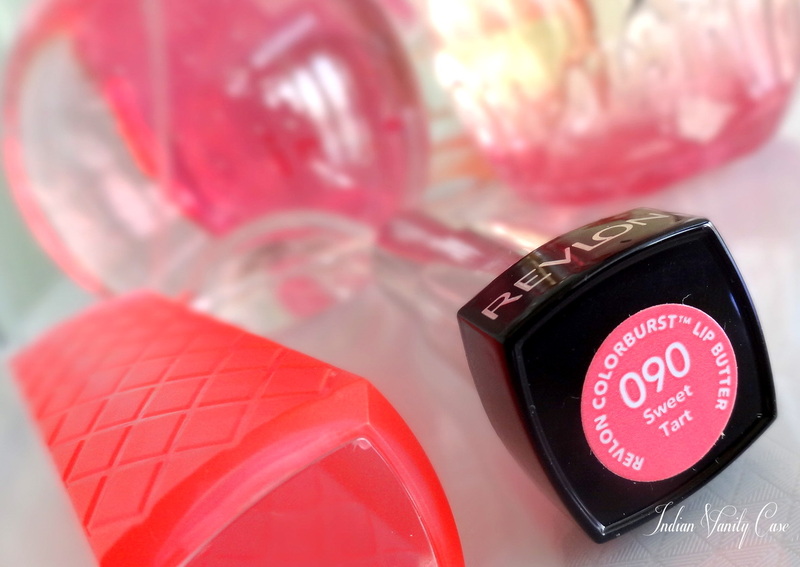 Revlon named one of their Colorburst Lip Butters, 'Sweet Tart'. Even they couldn't just name it 'Tart', they had to sugarcoat it. I'm guessing. 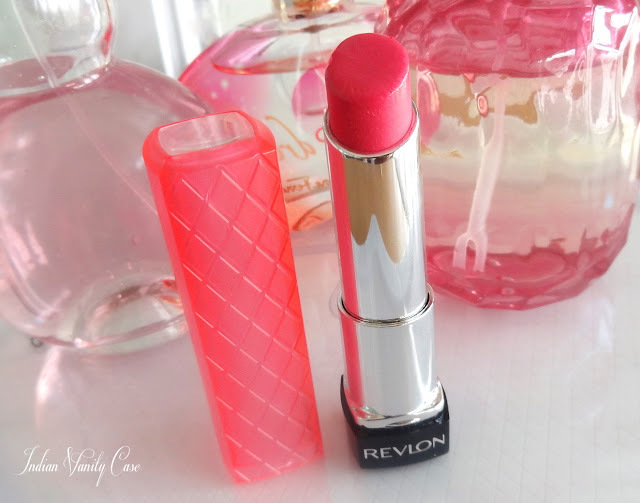 About Revlon Colorburst Lip Butter: Hydrating mango, shea and coconut butter formula boosts lip moisture by 156%. Pampering gel formula provides super charged hydration and glides on lips buttery smooth. Sheer to medium colour with buttery shine. Available in 20 shades. Packaging: Similar to Revlon Colorburst Lipsticks, except the caps are colored transparent plastic, and longer. Cute & fun. 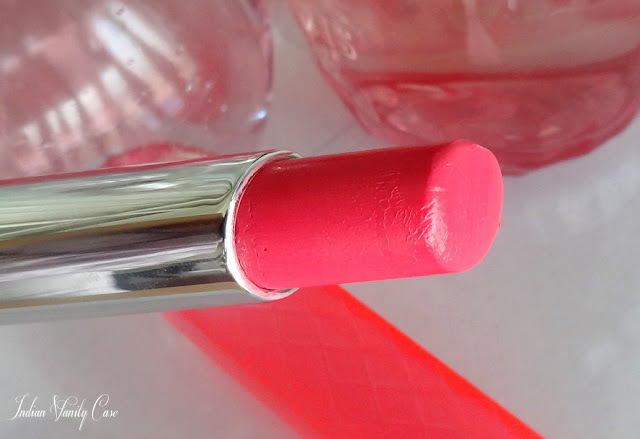 Love: The color- it's a pretty bubblegum pink, which really suits my skin tone. The Texture- not so buttery, which makes it cling to lips better. It's fragrance-free & tasteless, it cures chapped lips. Finish is glossy & not so sheer- which I prefer, coz otherwise all colors will look the same with tinted lip balms. Lastly, it is like a lipstick...it is better than some lipsticks. Don't love: The juicy color & shine doesn't last for more than 15-20 mins, although it doesn't leave my lips completely dry & colorless. The balmy feel lasts. I can't get enough of it! I'm eagerly waiting for them to be launched in India, so I can buy all of a few more. wow luvd the color !!! Hope they launch in india soon. . . oo..I am loving sweet tart..and I like lollipop too..I hope they launch soon..
LOVE your review! I have heard so much about these new lipsticks and I think Sweet Tart will be my first pick! Love these! I just received mine last week and I think I've already used half of it. i really want these :( looks tempting ! You always look good in pinks. This is very flattering shade. Hope they launched these in Netherlands also. After reading your post, I went to Target and found the same color. I have a more pale complexion but it looks really cute... I love it. Thanks darling. Has it launched here in India yet? even before products come out in india, most of the shades and colors i like that other bloggers refuse to review, but you do! and as someone who loves makeup since birth (i must have admired the nurse's shade of lipcolor i believe) and who loves to research the new wares before buying them (although i do love to look and feel the new products as much as the next girl does!) and with no other sources to count on (none of my family or friends are as makeup crazy as i am) its pretty terrific to know that someone's out there to tell us if getting something is worth it! hope we can blog together sometime soon! So pretty! I agree with you about men ruining the word tart! I love that word, too, it's a shame!